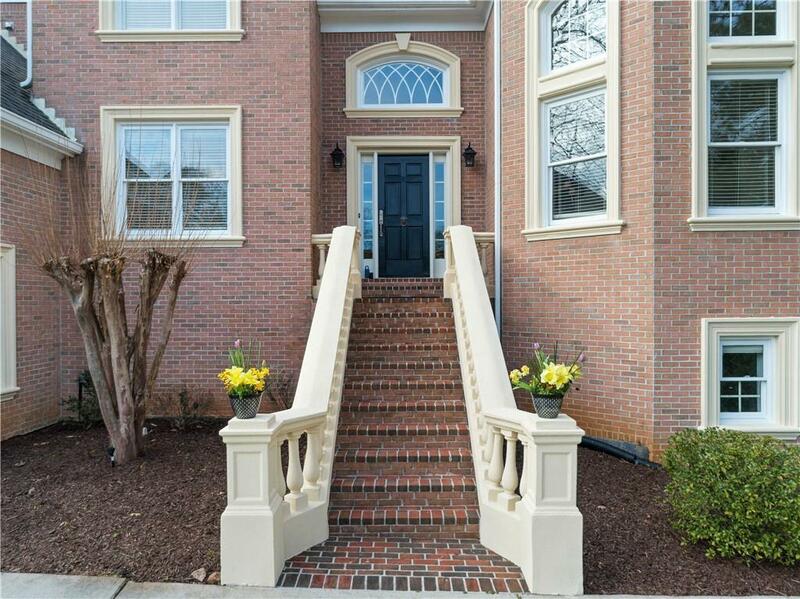 Sandy Springs entertainer's dream home in popular Hunter woods Community. Spacious, trad'l brick home feat. natural light-filled open flr plan, gleaming hdwd floors, 2 story foyer and formal Living rm, Dinning Seats 12, Spacious great rm w/built-ins and fireplace open to lg kitchen with gran cntrtps, brkfast area. 2 mstr suites on main and 2nd upper lvl, 3 lg bdrm en-suites, with walk-in closets. Full finished terrace lvl incl. in-law ste, rec rm, gym & den. High ceilings thruout. Private, flat patio & backyard perfect for hosting. Mins away from shops/rest, hwys.